Today we looked at the way in which a tv set produces a picture. 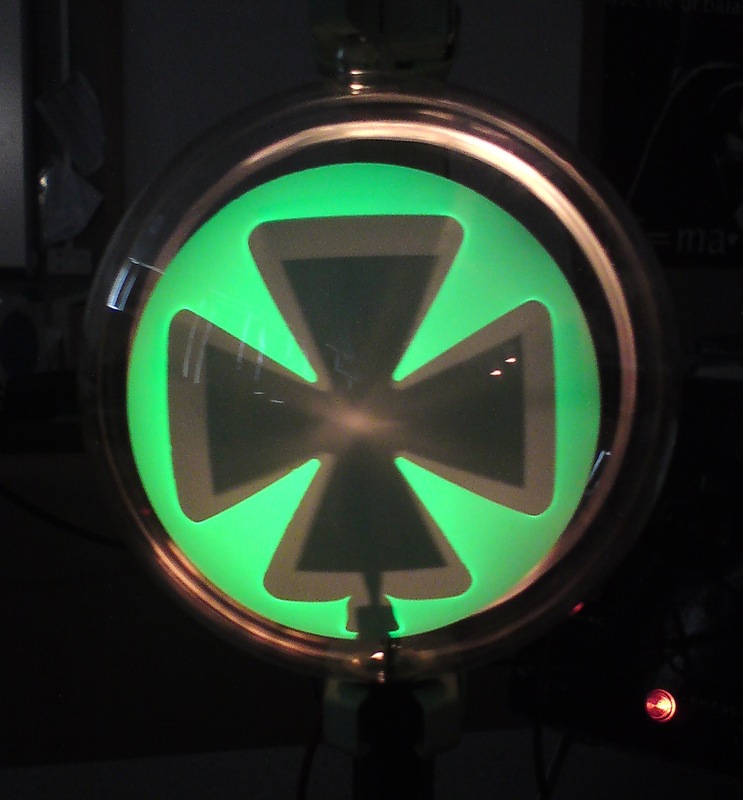 We used the Maltese cross tube to produce the effect shown in this photograph. Can you explain why there are two shadows of the Maltese cross on the screen? What evidence can you remember from the lesson to justify your explanation? Then we moved on to the Perrin tube. This allowed us to scan the electron beam across the painted end of the tube using the magnetic field of two Helmholtz coils. Here is the video clip we recorded at the time. raster scan from mr mackenzie on Vimeo. Why is the scanning pattern shown in this video different from the scan used in a tv set?